For the state of Nevada, 2018 was a good year. And according to Stephen Miller, Ph.D., director of the Center for Business and Economic Research at the University of Nevada-Las Vegas, 2019 is looking to follow suit. Prior to the economic crash in 2007-08, Nevada was growing at “a little bit over 4 percent a year in population, which is a crazy, crazy number,” Miller said. He recalled when he moved to Las Vegas in 2001, 12 new public schools were being built each year. “That’s hard to keep up with,” he said. Since the crash, the population stopped growing for a number of years but is now back at an increase of about 2 percent per year, Miller said. He attributed the growth to Baby Boomers who are retiring and moving to the Southwest or Florida. Another sector that is booming in Nevada, particularly the Las Vegas area, is sports entertainment. Miller said with the Golden Knights hockey team placing second in its division in 2018 and an NFL team—the Raiders—coming to the state in 2020, the area of sports entertainment is growing. A new Raider stadium is being built on the west side of I-15, near the Las Vegas strip—a $1.9 billion project, Miller said. Another large project under construction is a new Resorts World offering with an Asian theme, which will feature a replica of the Great Wall of China, he said. The resort project is estimated at $4 billion. It is not only the Las Vegas area that is seeing growth. Reno—in northwest Nevada—also is booming, Miller said. “It’s not gaming that’s booming up there; it’s diversification of their economy,” he said. “They have the Tahoe Reno Industrial Center and they have all kinds of project going on in there.” One of the main industries, Elon Musk’s Tesla Gigafactory, “is huge,” Miller said. As a result of the population growth and economic boom in the state, the housing market is in a crunch, Miller said. The retail industry also is doing well and is being supplemented by the sale of marijuana, which was legalized about a year ago, Miller said. 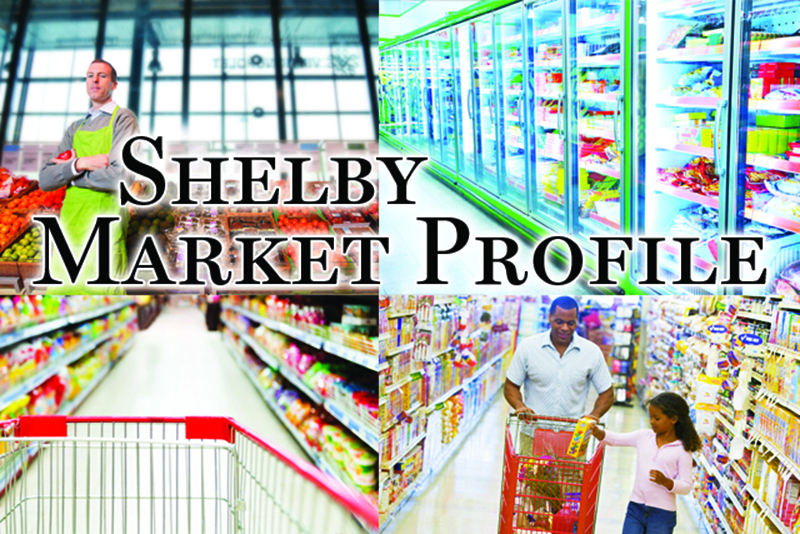 As for as the grocery industry, more people mean an increase in demand for food, and several companies either opened new stores or remodeled existing locations in 2018 or are planning to do so this year. In 2018, Raley’s purchased five Scolari’s Food and Drug locations and one Sak ‘N Save in northern Nevada. 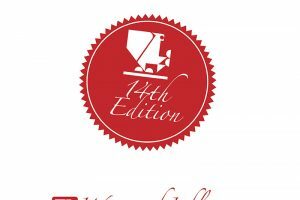 “I am pleased that Raley’s will reach and serve even more customers. Making healthy and affordable food available to more people aligns with our purpose to infuse life with health and happiness, by changing the way the world eats, one plate at a time,” said Michael Teel, chairman and CEO of West Sacramento, California-based Raley’s. Raley’s has operated grocery stores in Nevada since 1959. It currently operates 11 Raley’s banner stores and one Food Source in Nevada. “The network of Scolari’s stores offers great synergies in a market we already operate,” said Raley’s CFO Ken Mueller at the time of the acquisition. Raley’s transitioned the five Scolari’s locations to the Raley’s banner. The Sak ‘N Save kept its name and is operating as part of the Food Source division of Raley’s, which comprises warehouse-format stores focused on savings. Raley’s completed the stores’ transition in June 2018. The stores were remerchandised with Raley’s products, including enhanced offerings in fresh meat, produce and foodservice. 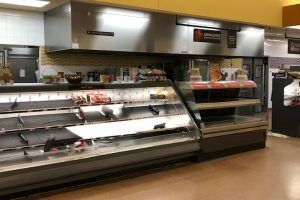 In the Reno area, the Raley’s in Mira Loma saw its product offerings expanded, while the store on Caughlin Parkway expanded its product offerings in addition to getting a new décor package. The investment in the two locations also included new shelving that created more shelf space on each aisle. The Mira Loma store increased its center-store offerings with more than 8,000 new products, many of which were customer requests. Raley’s on Caughlin Parkway’s refresh included new décor, new bakery and deli cases, new checkstands (including self-checkout), an expanded liquor department and more than 9,000 new center-store items. Both redesigned stores offer products in a format tailored to complement the local community. Raley’s e-commerce service is available as well, allowing customers to shop online and pick up at the store. Raley’s eCart customers can specify their produce/ shopping preferences for their orders, which are hand selected by a Raley’s personal shopper. The Raley’s on Caughlin Parkway was set to hold a customer appreciation weekend to celebrate the new remodel Jan. 12-13. Raley’s also has plans to remodel three of the former Scolari’s locations on the outskirts of Reno—in Fernley, Tonopah and Yerington, Nevada—this spring. These stores are in areas considered to have limited options for food, according to Chelsea Minor, corporate direc- tor of consumer and public affairs for Raley’s. Like the first two remodels in the Reno area, Raley’s will install new shelving and add 8,000-plus new products, Minor said. Scolari’s Food & Drug employees were encouraged to apply for employment as Raley’s team members and, of those who applied, 95 percent were hired. In addition, four of the stores are managed by the same leadership. 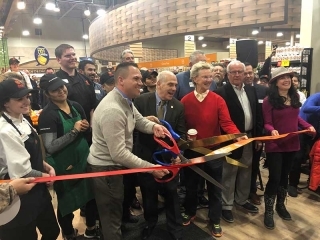 Sprouts Farmers Markets opened new stores in Nevada in 2018, including three in Las Vegas and one in Sparks. The Nevada stores were part of several new Sprouts stores opened across the country in 2018. A new Sprouts store also is scheduled to open in Las Vegas in March. The more than 30,000-s.f. store, located at 771 South Rainbow Boulevard, will open at 7 am. Wednesday, March 27. “As we continue to enter new markets, we’re pleased with the customer response to Sprouts’ unique combination of health and value,” said Sprouts Chief Development Officer Ted Frumkin. Each store brings approximately 140 new career opportunities to its local neighborhood. Sprouts continues to accelerate investments in team members, including enhanced pay, benefits, leadership development and recognition. As part of the healthy grocer’s commitment to “zero waste,” the new Las Vegas Sprouts locations will donate unsold and edible groceries to Three Square Food Bank through the grocer’s Food Rescue program. The Sprouts in Sparks will donate unsold and edible groceries to Food Bank of Northern Nevada. In 2017, Sprouts stores and distribution centers donated 23 million pounds of product, equivalent to 19 million meals. Food that is not fit for donation is provided to local cattle farms and composting facilities. 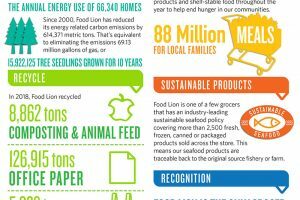 Sprouts’ evolving “zero waste” initiatives help minimize food waste while reducing the impact of hunger and the company’s environmental footprint. Smith’s Marketplace, a banner of The Kroger Co., opened a new store in June 2018 in Skye Canyon, according to a story in the Las Vegas Review-Journal. The new store is 125,000 s.f., which is about three times the size of Smith’s traditional footprint, and employs 250 people. A Smith’s store in Warm Springs also opened in June, replacing longtime independent grocer Glazier’s, the Review-Journal reported. Both stores offer online shopping with curbside pickup or home delivery. The Warm Springs location allows customers to use scanners or a cellphone app to scan and bag products to check out more quickly. In June 2018, Walmart announced its intention to remodel four stores across Nevada. According to a report from Las Vegas News 4, several in-store and online innovations were to be added to make shopping faster and easier for customers across the state. The Las Vegas Sun reported in early December that La Bonita, a popular Hispanic supermarket chain with six Valley locations, will open its first store in Henderson in summer 2019. The new store, north of Green Valley Parkway and Sunset Road, will be 50,000 square feet and employ about 150 people, Armando Martinez, La Bonita’s GM, told the paper. La Bonita has operated stores in the Las Vegas area for 27 years.